AWA Environmental is a locally-owned company comprised of mold inspectors committed to helping our clients and their families maintain the safest indoor air quality. We offer complete mold inspection services for homes, apartments, and commercial buildings across Houston. We provide professional mold inspections and testing with a true commitment to customer service. We take pride in what we do. Each inspection is conducted with unmatched attention to detail and consideration. Your family and home are your greatest assets, with AWA you’ll have peace of mind when it comes to safety and protecting both. We’ll respond within 10 minutes! Our core focus is the safety of your home. Although it is common in many Houston homes, mold is a dangerous and silent killer. Although people have shared the world with it for millions of years, mold poses a significant health risk to people when it gets too close. This is why hiring a certified Houston mold inspection and testing company is vitally important. Mold has been directly linked to several health conditions where some such as asthma and allergic reactions are severe. Mold usually thrives in a cold environment with its growth heavily reliant on moisture. If your house is often damp because of a faulty plumbing system or a leaky roof or a cool basement, this dampness provides the ideal conditions for mold’s growth. Mold can also result from flooding. When floodwater enters your home, some surfaces could retain the moisture for a long time. In most cases, mold develops in areas that are hard to see, implying that it could be affecting the health of the people living in the house gradually. Although most new houses are inspected before a sale, it is essential to run your independent tests so that you are able to establish if the house is safe for your family. AWA Environmental’s Houston certified mold inspectors can help you conduct professional tests to ensure that your family is living in a safe and healthy environment. If mold grows for a long time without detection, it becomes quite expensive for the homeowner to get rid of it. This is because mold removal companies charge huge bills to restore houses that have been extensively damaged by mold. Another significant cost associated with mold is incurred in healthcare facilities. Respiratory conditions take a lot of time and money to treat in a hospital. Moreover, the affected person loses wages while they are recovering. It is a smart and strategic move, therefore, to ensure that you have mold inspection services in your home often and especially after floods or water leakages. This helps you to provide a safe environment for your family. AWA Environmental is a leading Houston mold testing company that provides professional sampling and testing services. Most of our sessions last for an hour although they could take longer depending on the size of the house. Our inspectors usually begin by asking you a few questions to establish your mold or water leaks problems. They then perform a visual inspection. At this stage, they inspect several areas of the house looking for clues and signs of water damage. Afterwards, they could also use equipment to establish the humidity and temperature levels in your home. Why Hire AWA Mold Inspection? There are other options for mold testing such as using DIY kits. However, the results of the kits may not be reliable due to the possibility of poor handling and sampling. Our mold inspectors are skilled and know where to sample. They also have access to professional equipment that not only indicates the presence of mold but also its type, how severe it is, and identify the source of the mold. If you are in the Houston area and are looking for a certified Houston mold testing company then contact AWA Environtmental to schedule an appointment. At AWA our mold inspectors pride themselves on being the best in the business. 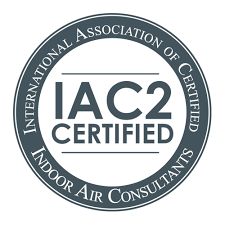 That is why we require our inspectors to have both and IAC2 certification from the International Association of Certified Indoor Air Consultants and Licensed through the Texas Department of Licensing and Regulation. Rest assured, you are receiving the absolute best in Houston when it comes to mold inspection and testing. To learn more about the our certifications visit the websites below. 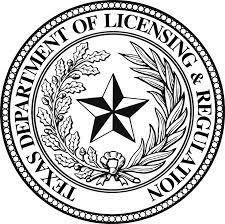 AWA will send one of our inspector’s that are all licensed in the state of Texas out to your home. If remediation is necessary, the inspector will recommend professional remediation and can provide protocol if necessary. You’ll have a licensed mold remediation company in the state of Texas come to your home and perform mold removal. AWA will send to your home one of our inspector’s that are licensed in the state of Texas to come out and perform a post remediation clearance inspection to verify the work is complete. Upon your home passing the post remediation clearance inspection, AWA will issue a Certificate of Mold Damage Remediation. Click a button below to get started. AWA Environmental did a great job for us! They were timely and very thorough. I received a copy if the lab report which substantiated the existence of mold as well as describing the type and amount. I would highly recommend AWA to anyone who suspects mold. I had a great experience with AWA Environmental. The mold inspection was very professional. I had allergies driving me crazy for a few months and I suspected my home had mold. AWA was able to get out to my house very fast. They found black mold underneath my two of my sinks that I never noticed! Thank you AWA!!! I had Adam from AWA come out and inspect my home. He was very informative and patient in helping me understand the entire process. The work he did was thorough and I received my results in a very timely manner. I would definitely recommend this company and will be using them again in the future. Will was thorough and professional. Would recommend AWA Environmental for anyone in the Houston area looking for a mold inspection. My experience with AWA was easy and professional. Mr.Will Bench answered all my questions with easy and not once was bothered. As a new home owner things can get confusing and frustrating. I can honestly say I came in frustrated with all that was going into play and left bliss with just Will being accommodating and cool. Thank you Will!!!!! AWA has been keen to coordinate the most efficient and cost effective protocols with the client and remediator. Their services not only provide effective mold detection and remediation protocols but also try to work with the homeowers/remediator to minimize the impact of mold remediation protocols on their homeowner's lives. AWA Mold inspectors are very professional and pleasant to work with. The service response is very prompt! Highly recommend this company. Adam Horas with AWA Environmental is a true professional. I had to coordinate a mold inspection on a property I own in the Houston area and Adam went out of his way to accommodate me. I couldn't have asked for a better experience. I highly recommend AWA Environmental for their expertise in the field as well as the outstanding customer service they provide. This is an OUTSTANDING company and Adam will take great care of you!